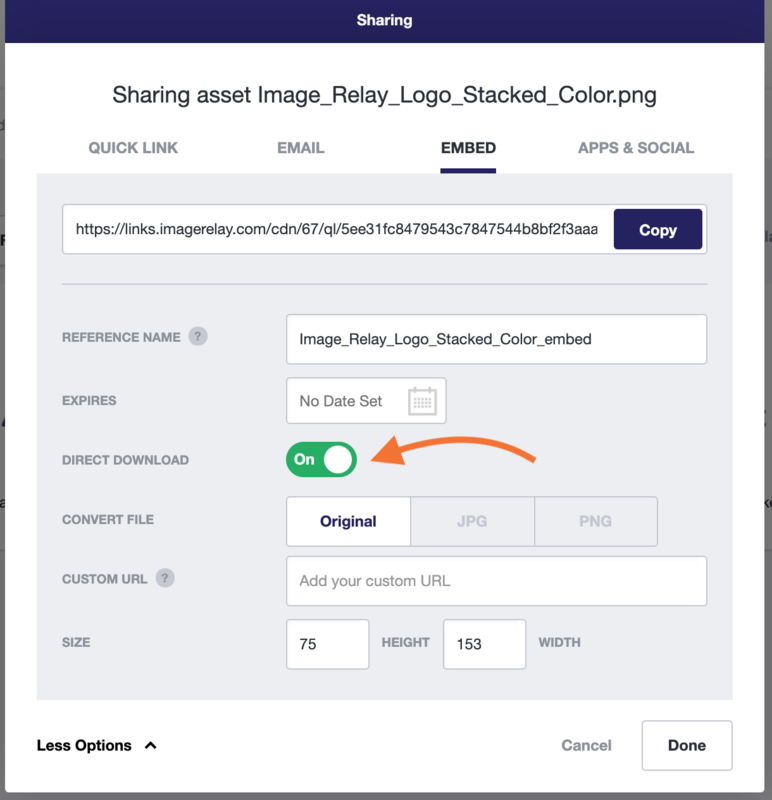 You can use embed links to display photos and other assets on your website. This way the image lives in one location, on Image Relay, and not on the website. That way if you want to update or change an image, you only need to do it one place. Locate the file you want to embed. Click on the Share icon on the thumbnail. 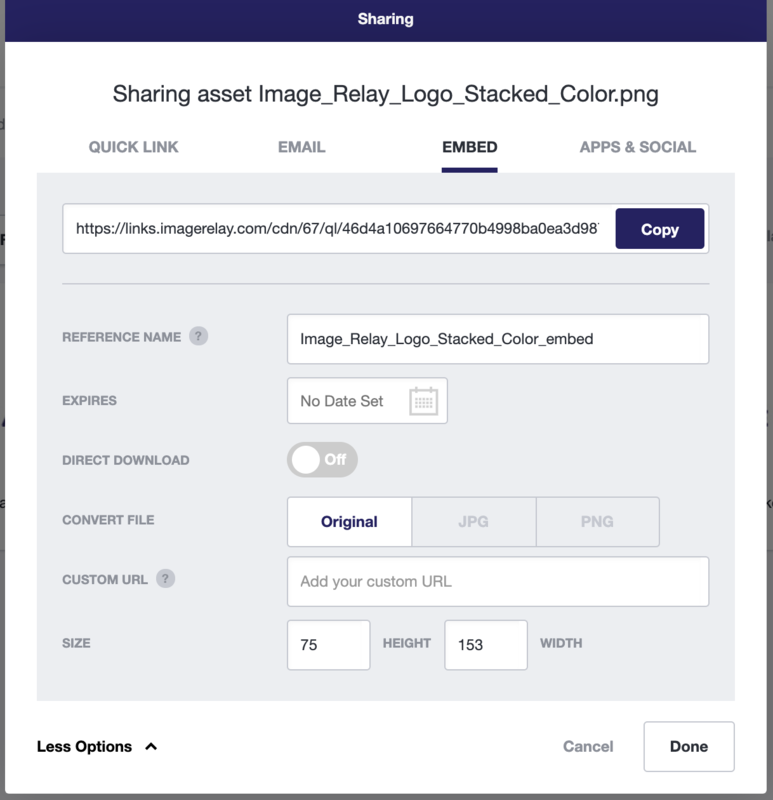 Go to the Embed tab of the share modal. There you will get options on converting the image file. Copy the link into your web content management system and it will display on your website. These options allow you to customize the file as well as the URL you are about to create. To create a direct download, where the asset doesn't appear in the browser but goes straight to download, repeat the previous steps, but make sure the Direct Download button is set to on.